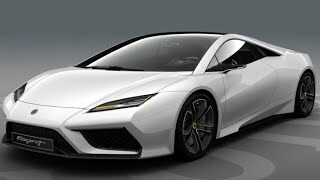 The Lotus Esprit is the ultimate supercar. In the past when people thought of the Esprit, they thought of the movies, Bond, Pretty Woman, Basic Instinct but this time around, the car is the star of the show. That's what Dany Bahar, the CEO of Lotus has to say! What do you think? The most eagerly anticipated Lotus makes its return. Without doubt, this is the car that the true Lotus aficionados have been waiting for: The ultimate Lotus. The new Esprit represents the very essence of exclusive supercar driving. It picks up and exceeds the legacy of it’s forefathers. Think of it as a statement of superiority. Think of it as Lotus CEO Dany Bahar’s personal statement of intent, his vision for the future of Lotus. “Not only does the Esprit look incredible but it has the performance to match. 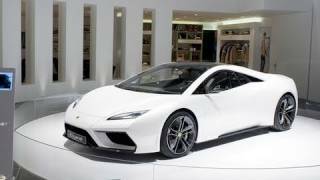 We’ve stuck to the Lotus core values of performance through lightweight and teamed them with future technology and exceptional engineering to ensure that the Esprit will be the leader of the pack. The design is aggressive, you have to see it to appreciate how low and wide the proportions are but it still retains a level of dignity, of class and most of all exclusivity. I’m very proud of this car.” Powered by a 5.0 litre V8 pressure charged engine delivering up to 620 PS, the Esprit retains exceptional performance through it’s unique lightweight design making it the ultimate expression of Lotus supercar ownership. It is the supercar that will redefine ride and handling, performance, comfort and exclusivity. The styling of the Esprit echoes the performance with strong lines throughout the sleek low body. 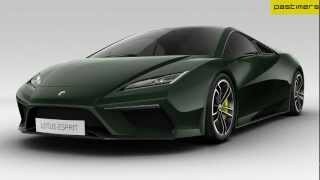 The symmetry through the mass and proportion of the Esprit give it an intense look, it’s the perfect example of the new Lotus DNA in action. The Esprit is more than an evolution, it’s a redefinition.